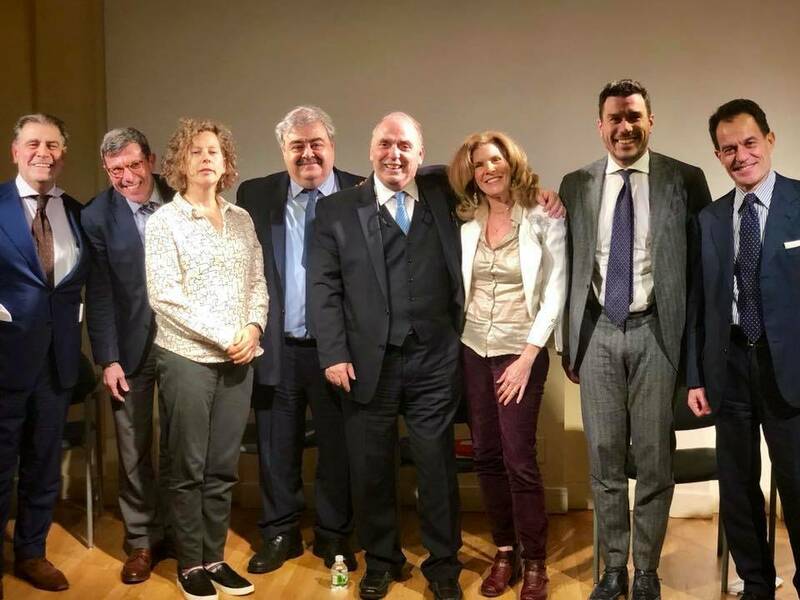 From the left: Andrea Fiano, Editor of Global Finance and Correspondent Milano Finanza and Vice President of Accademia Italiana della Cucina Soho Chapter; Maurizio Forte, Director Italian Trade Commission in New York; Stefano Cordova, Innovation Chef at Bindi North America; Gianfranco Sorrentino; and Lorenzo Zurino, Founder and C.E.O. of The One Company. 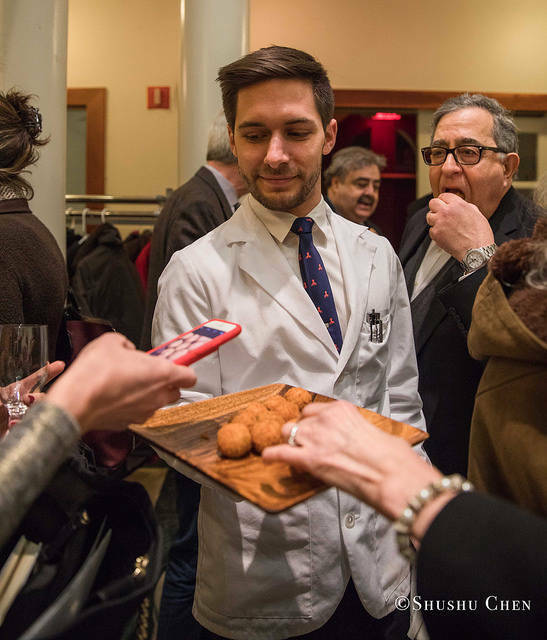 Gruppo Italiano (GI), the NYC-based nonprofit organization founded in 2017, is the natural evolution of the original Gruppo Ristoratori Italiani (GRI), which had carried out significant work in supporting the Italian food industry in the United States. 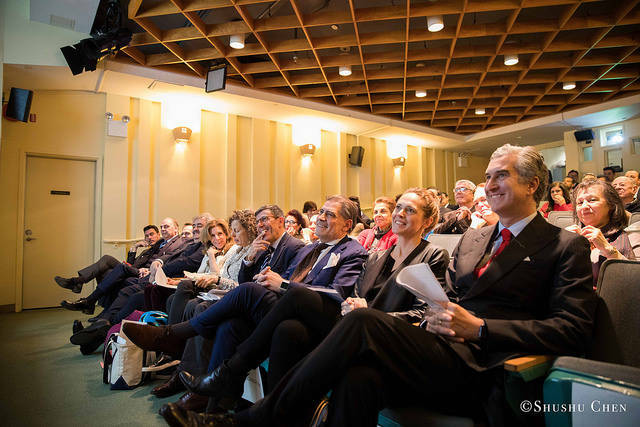 Throughout the years, the group has become a benchmark for Italian products, importers, distributors, and the Italian restaurant scene with a special focus on hospitality and culinary education. 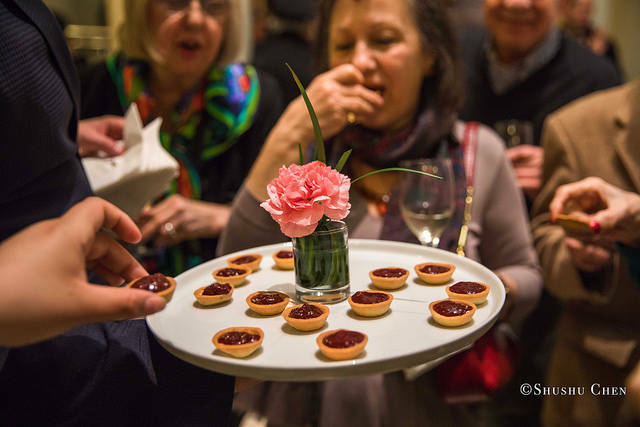 The group has recently kicked off its long-anticipated “Italian Table Talks”, a series of events that highlight GI’s primary mission to be a medium of education about everything regarding Italian Cuisine in the U.S., from food business to nutrition. 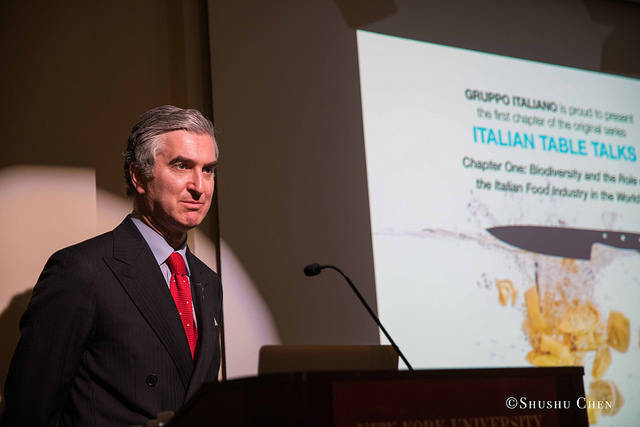 The first talk - Biodiversity and the Role of the Italian Food Industry in the World - held at one of the temples of Italian culture in New York, NYU Casa Italiana Zerilli-Marimò, showcased the two souls of Gruppo Italiano: food education, and the critical role of the culinary business which should deliver that education based on the principles of authenticity and transparency. 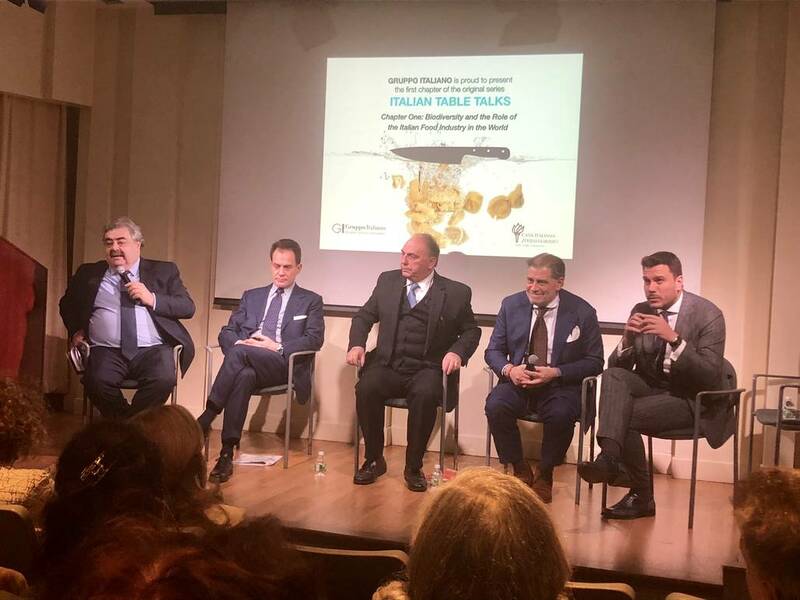 In the packed auditorium of Casa Italiana, its Director, Stefano Albertini, greeted the audience and presented the event inviting Consul General of Italy, Francesco Genuardi, on the stage. His prestigious presence underlined the central role that GI plays in stimulating the Italian dining scene in the city to preserve its unity, integrity and a true sense of identity. 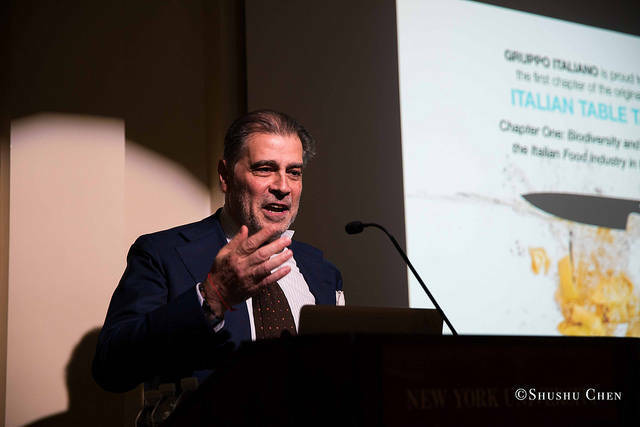 Chairman and President of the group and owner of Il Gattopardo Group, Gianfranco Sorrentino, then took the stage, welcoming the audience and presenting Gruppo Italiano and the different panelists of the night. The first part of the talk focused on the biodiversity theme and it was moderated by Vincenzo Pascale, PhD, NGO representative at the United Nations and Italian Journalist. 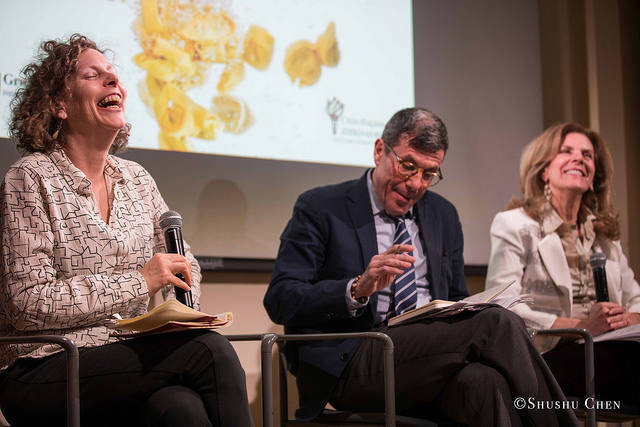 The distinguished panelists were Prof. Carolyn Dimitri, Associate Professor; Director of the Food Studies PhD Program; and Prof. Lisa Sasson, dietetic internship director and clinical associate professor in the department of Food Studies at NYU. Dimitri explained a little bit more in depth about what biodiversity is. The term stands for biological diversity and it is a crucial factor to be considered and preserved for the future of our planet and its food supplies. The professor mentioned the Convention on Biological Diversity signed by 150 government leaders at the 1992 Rio Earth Summit dedicated to promoting sustainable development, which is very important for the food supplies of the future, as well as The Svalbard Global Seed Vault that is a secure seed bank on the Norwegian island of Spitsbergen. Conservationist Cary Fowler, in association with the Consultative Group on International Agricultural Research (CGIAR), started the vault to preserve a wide variety of plant seeds that are duplicate samples, or "spare" copies, of seeds held in gene banks worldwide. The growth of organic agricultural products is also fundamental in the terms that using less synthetic and chemical products to grow foods means that less biodiversity is killed on the farm. “I bring my students to visit farms and artisanal producers to understand the connection that a product has with a land and to teach them how food is identity. It is something that Americans don’t feel. Food defines who you are as an Italian.” Continued the professor. “If you are Italian and you come from Tuscany for example, there are certain foods that you eat there that you don’t eat if you come from Sicily. Who you are is what you eat in Italy, and what happens around that table is who you are. That is lost in the American culture, we don’t eat around a table and we don’t identify our identity as based on food. Italy is renown for the simplicity of the cuisine, but what it is unique about it is that you taste every single product in the dish, the different biodiversity of the single products. You can taste different types of tomatoes or olive oils, and every single taste has a story behind it, a story coming from the specific soil and the people who grew the products”. The second part of the talk focused more on the food business and the technical and economic difficulties that the industry faces, specifically in the US, to underscore the challenges of bringing organic products from afar to retail markets and ultimately restaurants. Andrea Fiano, Editor of Global Finance and Correspondent Milano Finanza and Vice President of Accademia Italiana della Cucina Soho Chapter, was the moderator of the second half of the panel that featured Maurizio Forte, Director Italian Trade Commission in New York, Stefano Cordova, Innovation Chef at Bindi North America, and Lorenzo Zurino, Founder and C.E.O. of The One Company. The day ended with a delicious catering of authentic Italian products and delicacies offered by Gruppo Italiano. An insighful talk that promises a series of immersions into the world of the Italian Food Business conducted by GI with a fresh, contemporary and wide range of depth. Looking forward to the next chapter. Gruppo Italiano (GI) is dedicated to promote authentic Italian cuisine, wines and products, enhancing its image in the United States through education, member restaurants and promotions; and to provide a constant flow of information between Italian “ taste makers”, member restaurants, US press, culinary schools, importers, distributors and the general consumers with a serious interest in authentic Italian food and wine.